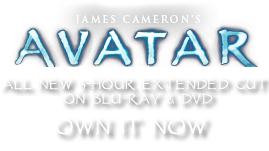 Slash Cutter | Pandorapedia: The Official Guide to Pandora | Own AVATAR on Blu-ray & DVD Now! The Slash-Cutter is a razor-sharp rotating disc with angled and beveled teeth made from diamond-hard carbon fiber composite that provides maximum cutting action with minimal wear. The super-cooled blade disc will slice through material approaching the density of stone. A large forest of the hardest pine would fall before just one disc operating continuously for only a few weeks. The slash-cutter is RDA's knife of choice, and they use it indiscriminately on any indigenous flora, either Terran or other, that stands in the way of its goals. There are many ways to clear-cut a forest. You can use explosives to blast them down. You can pulls them up by the roots with powerful ripper machines. The Slash-Cutter is the most efficient and effective. The unit is self-sharpening and rarely needs replacing. There are exchangeable heads for the cutter to suit various density of materials to be slashed. The unit is usually installed on the model 102807 Slashbuster, a tractor/digger combination unit. The blade functions under extreme stress conditions, slicing through trees equivalent in diameter to the ancient redwoods of the Pacific Northwest at a rate of one per minute. The cutter can be lowered via the crane arm to just above the surface of the ground, leaving only enough stump for the ripper machines to hook onto for extraction. The computer-designed teeth are angled and beveled for maximum tear ratios, and the debris is rapidly spewed out by the angle of rotation. Operating at tremendous speed between frictionable surfaces, the cutter disc could superheat and melt the rotating shaft and attendant holding gear. But the blade is cooled by a liquid helium spray running down the crane arm and into the slash-cutter unit, keeping it within operational temperature limits. The spray requires that all human operators stay clear, which they must do already because of the high velocity spray of debris. The Slash-Cutter replaces six men with power saws. The human operator sits inside a reinforced safety cab. A ten ton tree could topple directly onto the cab and roll off without doing any discernible damage. The cutter can cut through fifty average diameter and density tree trunks in an hour, without stopping or needing maintenance. Ten cutters mounted on ten slash buster hybrids, all moving together in a line, can level fifty acres in 3.6 hours. The driver is powered by a gas turbine that generates 470 horsepower @ 5,400 rpms. The liquid hydrogen coolant is microsprayed over the surface in short, intermittent bursts to maintain a remotely-sensed optimal temperature of 298 degrees Fahrenheit. Size Circular blade is 2.74 meters in diameter. Notes Nicknamed “pizza cutter” because of resemblance to circular device used for slicing pizza. Proved invaluable in Brazil.